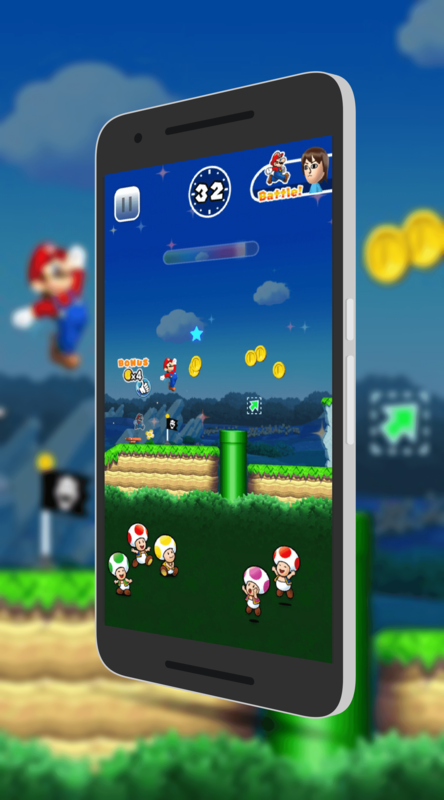 The first significant update to the popular Super Mario Run game is now rolling out to Android players. The update ups the version to 2.1 and brings several improvements and additions to the game. For those who haven’t kept up, in the game, you are the ever popular Mario and you are doing what you do best: Collecting coins and progressing your way through six worlds in the game. The way gameplay works is that you can only move forward, up or down so no going back to get coins you missed for example. The object of the game is to collect as many coins as you can before get to the flagpole at the end of the level before time runs out. Sound familiar? Oh, and yes you still can save Princess Peach and defeat Bowser too. There are two other game play modes as well to keep you entertained. With this update, the number of toads (which you collect through Toad Rally playing in the game) has now increased to 99,999. This should make it limitless for casual players. You can now also use your customized Mii character as your player icon that you have created in Miitomo. Finding friends also got easier with this update as you can now find them with your associated Nintendo account in the game.